I have come to identify history, as a phenomenon which replicates itself in other parts of the world. Sambisa Forest in Nigeria’s Northeast and its Camp Zero, Boko Haram Terrorists (BHTs) most fortified enclave in Borno state, strikes some semblance with the famed Berlin Bunker (Führerbunker) of the defeated Nazi leader, Adolf Hitler who ignited the senseless World War II. Hitler retreated into it for protection against air-raids when it became obvious his military might could not withstand the venom of Allied Forces against him. I saw a replication of history, when the current incarnation of BHTs factional leader, Abubakar Shekau, retreated into Sambisa Forest and took refuge in its innermost sanctuary, Camp Zero in the face of ceaseless firepower from Nigerian troops. It also reminded me of the jitters that gripped Hitler in January of 1945 when his Nazi regime’s failing military campaigns lost steam and unable to withstand the Allied Forces that moved ferociously against his empire. History tells us Hitler relocated into the underground cave of the bunker with most of his henchmen. The Berlin Bunker, a thick-walled massive structure, about 50 feet underground, beneath the chancellery and designed as a protective shield from the air-raids of Allied Forces, was a luxurious island unto itself with everything a man needed inside it. Yet, it was demystified by Allied Forces and the famed Hitler killed himself rather being captured alive, when he knew the criminality against humanity could not be sustained. These images compellingly strike one as being replicas of Abubakar Shekau’s Camp Zero in Sambisa Forest. I can still imagine embattled terrorists murmuring in hushed, suppressed tones, phrases like, “the enemies are here! Phew! these bloody infidels. They have entered Sambisa oooh!. Let’s head to Camp Zero! Camp Zero!! Camp Zero is the only option.” I was told that was the scenario, when Nigerian troops, like Allied Forces, barricaded the dreaded Sambisa forest and militarily invaded its dark copses in search of terrorists and their leaders. I guess, Shekau and his outlaws erroneously thought it is the same tea cup party from a previous era, so his comrades-in-evil attempted to fight back, by opening fire on the army troops. But the feeble counter-attacks soon fizzled out and faded, as soldiers mercilessly descended on terrorists. Dozens were killed in the exchange of gunfire, some captured, others escaped with gunshots wounds and have melted into various cities, communities and villages in Nigeria and neighbouring countries in the frenzy to escape. The successful military expedition in Sambisa forest marked the end of terrorism and the defeat of Abubakar Shekau, his demonic gang of Islamic jihadists and Boko Haram insurgents. Like himself, residues of his adherents have no more shelter or a fortress that served as bulwark against soldiers and a place that afforded terrorists the luxury of retreating to hide and plotting fresh attacks on innocent Nigerians. For me, no blow to a rebellion can be as painful and fatal as this. I restrain myself from mocking Abubakar Shekau for the pitiable mess he has found himelf in after these serial misfortunes. But that’s the difference between me and him. He can only hunger and thirst for my passion of love for humanity and sanctity of human life; while in contrast, Shekau is a soulless breed of a devil incarnate and blood spiller, whose end was foretold since July 2015. Since President Muhammedu Buhari (PMB) ascended the throne as Nigeria’s President and re-structured/re-organized the Nigerian military, BHTs knew no peace. Precisely, the appointment of a dogged fighter, Lt. Gen. Tukur Yusufu Buratai, as the Chief of Army Staff (COAS) with a strict charge to end terrorism in Nigeria, heralded and foreclosed the era of Shekau and the end of terrorism in the country. And from that point, we have only watched on TV and listened to terrorists in Nigeria recount tales of woes. If other Nigerians are on the same plane of thought with me, I think Abubakar Shekau has become the serial symbol of the misfortunes and the crumbled Boko Haram sect. In the depth of my heart, he should surrender himself to the Nigerian Army and renounce his devilish acts. And I am convinced on several counts to offer him this sincere, free advice. To begin, most Nigerians, like me, think, apart from the fall of Sambisa forest, his most trusted haven of bulwark against security forces, which excited him so much with the sobriquet “dreaded,” nothing in the senseless Jihadists war Shekau and followers unleashed on Nigerians is anywhere palpable to encourage them to forge on. Factional leader Shekau, assumed leadership of the satanic jihadists group, after the demise of its founder and pioneer leader Muhammad Yusuf. But since August 2016, he has come under severe leadership tussle and revolt within. We are aware that the sect became more radical in killings and raids, under him when it was a one united bloc. I noticed that Shekau’s atrocities festered uninterrupted under a complacent and docile government of the pre-May 29, 2015 era. So, he brazenly engaged in massive gruesome acts of bloodbath and arson through detonated bombs. He aggressively recruited young boys and girls in the Northeast, most of whom were brainwashed through charms to accept conscription as agents of death. He openly, through his videos, professed affinity and sponsorship from Iran’s Islamic State (IS) terror linchpins and swore allegiance to it in March 2015. To me, he declared himself, an enemy of Nigeria and passed a death sentence on himself. 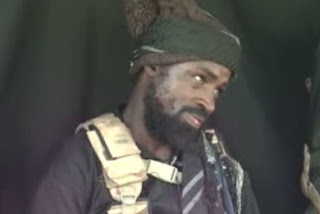 But a shocked Shekau woke up to the unpleasant news in August of the same year that his former Public Relations Officer (PRO) Abu Musab al-Barnawi and son of the founder of Boko Haram sect, has been announced as his replacement to head the West African Province of Boko Haram. The news posted on IS Al-Naba online weekly magazine confirmed it. Al Barnawi immediately took control and asserted the powers of his leadership. 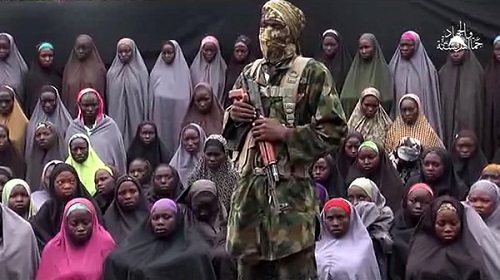 Among other things, he pulled off a large chunk of BHTs adherents from the Shekau’s faction. I know Al Barnawi was divinely touched to realize his former boss Shekau mindlessly and repeatedly violated core Islamic principles and creeds in persecuting the Jihad war. Almighty God intervening on our behalf, one would say. Soon, Shekau emerged on the scene to re-claim his leadership of the Boko Haram sect, declaring himself as still the authentic leader. He branded Al Barnawi as a coup plotter against him, whose group prevented him from communicating with IS leader, Caliph Abu Bakr al-Baghdadi. Oh! This house has fallen. "I was asked to send my ideology in writing to the caliph but it was manipulated by some people in order to achieve their own selfish interests,” Shekau licked his wounds in lamentation. I appreciate the Nigeria Army today because I know Shekau and the vestiges of his criminal gangs have no prospects of continuing with their heinous crimes against humanity anymore. Most Boko Haram terrorists or subordinate commanders to Shekau have either been sniffed out of life through battle fields combats or have surrendered and denounced the war. I understand it as an empty house for Shekau. The few remnants of Boko Haram foot soldiers have gone into hiding and the vigilance and alertness of Nigerian soldiers and the public is rewardingly netting most of them into detention. Shekau himself narrowly escaped capture in Sambisa Forest, as recently revealed by the COAS, Gen. Buratai. The searchlight of Nigerian troops and security surveillance teams is consistently beaming on them in the hideouts. Joyfully for Nigerians, the end has finally come for Shekau and his followers and terrorists. With no secured fortress to take protective shield; the nightmare of scattered remnants of followers daily arrested; Shekau himself on security surveillance and discarded by IS, the only option left for him, in my estimation, is to bargain for a peaceful surrender. I have no doubt that Nigerians of all religions and ethno-political mix have come to perceive the ideologies espoused by Shekau’s Boko Haram as inimical to their religious beliefs and a threat to the existence of humanity not just in Nigeria, but the whole world. So, it may interest Shekau to know that he is being haunted by both known and unknown foes and faces world-wide. No matter how long he hides from forests to caves and countries to countries, it’s rather a prolongation of doomsday because he will eventually be caught. But giving up the fight and surrendering to the Nigerian Army now might invoke some sympathetic considerations for him. It is one of the most formidable options at his disposal. But it is my candid advice that, like Adolf Hitler, if this option does not appease Shekau, he can also commit suicide like Hitler, because no wise rebel leader continues with an apparently failed mission. Abiodun contributed this piece from Ibadan.